Born Kyna Aquila Argryis, Aponi's first born, Phineas' last born -- the redhead started out with a bit of trouble. She spent her early months in the ill-fated Silent Moon Plateau, where she made friends, and then lost them after her mother was accused of murdering the female alpha. 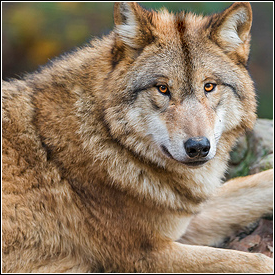 Aponi went on sabbatical, but when she returned, Phineas' died suddenly, and the pack disbanded. It was in Oak Tree Bend, their new home, that Kyna met her closest friend, but the good could never last. Pushed out by her mother's ambition, Kyna has taken up with her childhood crush, Greer, to form a home and family of their own. The princess has returned to the mountain, and with her, brought the Aurora Heights pack. Despite her lack of pack, Kyna came through the winter in fine shape. 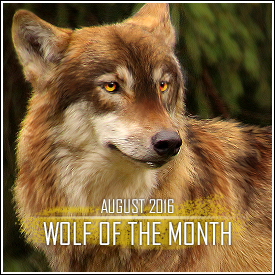 Now, post-pregnancy, she is perhaps a little leaner than would be considered healthy for a wolf in her position. However, her coat is still thick and full, the hair shiny and red. She is often tired or stiff, but she is otherwise doing well as she tries to regain her form after giving birth to her first child. There have been a great many changes in Kyna's life recently. 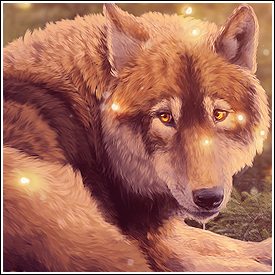 In the course of just a few months, she has taken Greer as her mate, founded the Aurora Heights pack with him, and given birth to her first daughter, Revon. Though stressful, these are all very positive changes, and Kyna's demeanor and mental state reflects that. She is often upbeat and forward-looking, even if she seems a bit tired (and indeed, leadership and motherhood are both very tiring tasks). Revon is still an infant, and most of her time is spent napping or nursing her child. 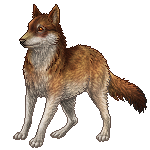 When she can get Greer or one of the others to pupsit, Kyna will stretch her legs with a hunt, or patrolling the borders of Aurora Heights. These outings are rarely more than a few hours in length, and she always returns right back to her birthing den as soon as her task is complete. Until Revon is old enough to move to the communal pack den, the best bet to find Kyna is at her personal den. Raise Revon to be a happy, healthy pup through the spring and summer. 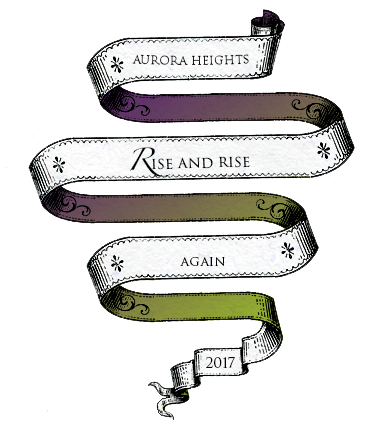 Continue to find members to help grow Aurora Heights. 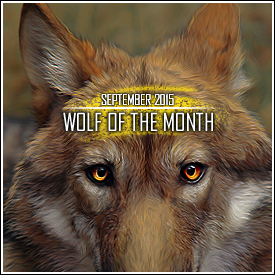 Get to know the other members of her pack better. Improve upon her leadership skills. Make things "official" with Greer. Complete! Become a scout or advisor. Became a leader instead! 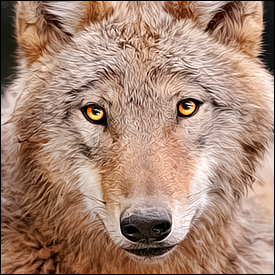 Establish self as a pack adult. Complete! Found her own pack. Complete! Founded Aurora Heights with Greer. Babies? Complete! Gave birth to her daughter, Revon. Vivamus cursus luctus ex. Aenean vestibulum ligula vitae purus feugiat, vel condimentum urna sagittis. Nam pharetra ultricies neque, eget fringilla lorem rutrum in. Aenean augue felis, pharetra ut scelerisque a, tempus et elit. Duis consequat dapibus dictum. Mauris euismod quis justo eu consectetur. Duis iaculis sagittis dolor, ut vestibulum metus accumsan id. Etiam dui elit, egestas vel justo vitae, blandit pulvinar leo. Donec dapibus tempus risus, vitae placerat est mattis in. Praesent scelerisque fermentum felis, a dignissim ex lobortis vitae. Nunc non turpis aliquet, porta mauris vel, interdum metus. Nunc eu vestibulum tellus. Aliquam ullamcorper turpis a magna lacinia pharetra. Suspendisse quis ipsum turpis. Nulla ac nisi fringilla, efficitur massa sit amet, euismod augue. In at varius odio. Pellentesque porttitor a eros sit amet sodales. Proin eleifend et lacus sed scelerisque. Vivamus dictum ornare turpis sed congue. "Mauris rhoncus ac odio sed venenatis. Suspendisse ornare, risus ut pretium ultrices, enim felis sagittis mauris, ut egestas purus dui quis justo." Maecenas magna elit, congue malesuada faucibus interdum, dapibus id purus. Vivamus a ante vulputate, accumsan ipsum id, placerat neque. Vestibulum hendrerit enim eget nunc gravida convallis. Fusce eu tortor ac odio consectetur ultrices at sit amet sapien. "Vivamus feugiat dapibus fermentum." Ut varius, dui eget faucibus accumsan, enim eros faucibus erat, eget scelerisque lorem turpis sed urna. Pellentesque ut tristique libero.